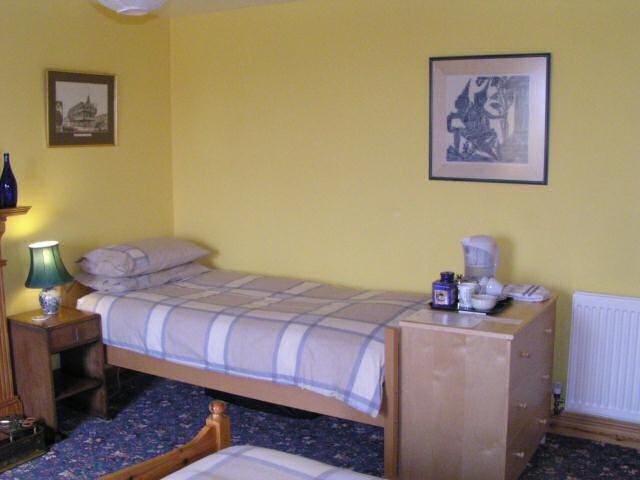 A traditional Bed and Breakfast set in open countryside. We cater for one family or group at a time. You are assured of peace and quiet. Panoramic views to Iona, Ben More and the Treshnish Isles. 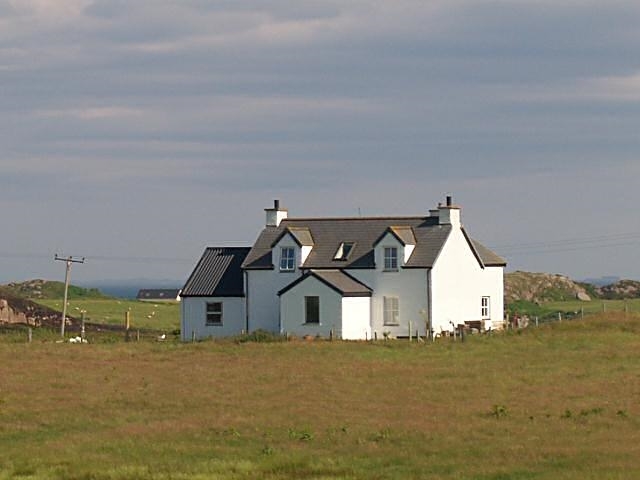 Maolbhuidhe (pronounced mull-voo-ee) is a traditional style house just a mile and a half from Fionnphort and the ferry to Iona, Staffa and the Treshnish Isles bird sanctuary, and close to the picturesque former fishing village of Kintra. 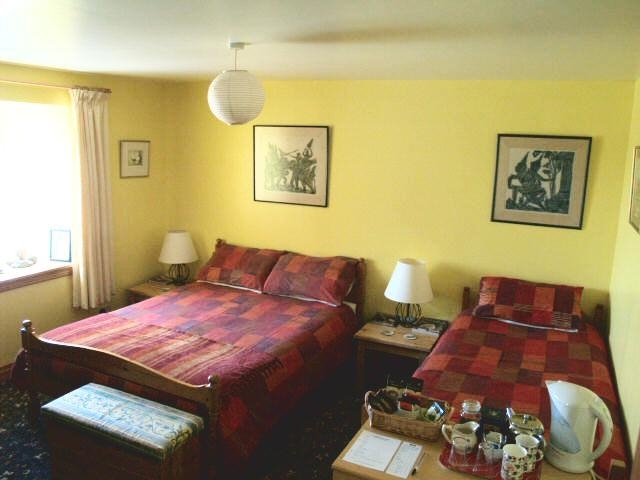 We have one spacious family room, with one double and one single bed, and a private shower room. Tea and coffee making facilities are provided. 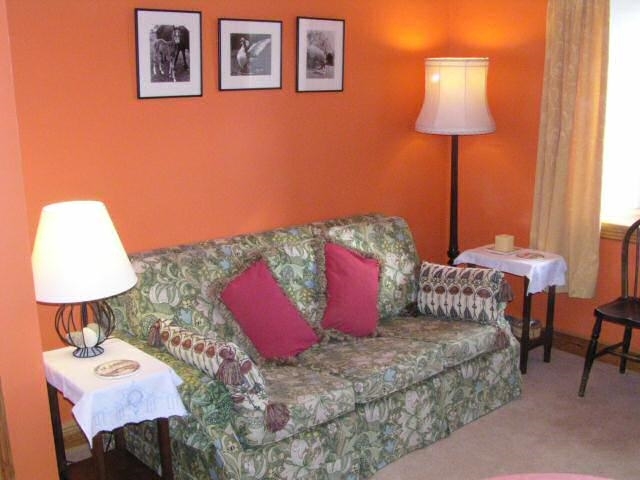 There is also a private sitting room for our guests, with TV and video. A double sofa-bed in the sitting room may be used by larger family parties. We provide a full breakfast, included in the price. Maolbhuidhe enjoys panoramic views all round, including Iona, the Treshnish Isles, the Burg headland (Ardmeanach) and Ben More, the only Munro (hill higher than 3000 feet) on Mull. 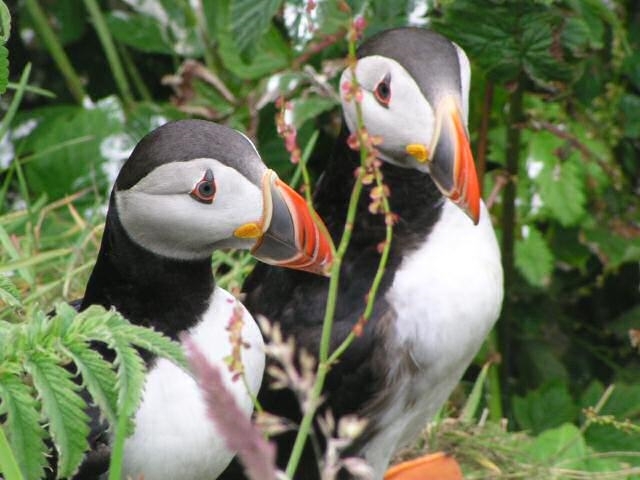 Hares and wild birds visit the garden and surrounding croft land, including buzzards, hen-harriers, owls and many smaller species. Further information and an on-line booking form are available on our web site. Linda and Tim assure you of a warm welcome, complete relaxation, and good food in a family atmosphere. We look forward to seeing you at Maolbhuidhe. Turn left when you come off the ferry at Craignure. Follow the single track road (signed Iona Ferry and/or Fionnphort) for 36 miles. You will pass through Pennyghael (17 miles), and Bunessan (32 miles). About four miles west of Bunessan you'll come to a turn, signed 'Kintra 1 3/4miles', where you turn right. Maolbhuidhe is the second house on the right, about 600 metres from the turn, standing well back from the road . The entrance gate is between two stone walls. There is a sign 'Maolbuidhe' (sic) set in the wall, left of the gate. A new house has been built at the top of the drive. Go straight up towards this house and turn right immediately in front of it. Maolbhuidhe will now be 75 metres in front of you..
From the nearest information centre:- From Craignure VIC take the road for Fionnphort (Iona Ferry). After 36 miles (4 miles beyond Bunessan) take right turn signed Kintra 1 3/4 miles. Maolbhuidhe is 600 yards along this road, on the right, standing back in a field. Entrance gate is between stone walls. Getting there by aeroplane:- You can fly to Glasgow, and thence to Oban by bus (3 hours, change at Tyndrum)). Some buses call at the airport, but it may be necessary to take the shuttle to glasgow bus station (Buchanan Street). Getting there by ferry:- The principal car ferry is Oban to Craignure, booking strongly recommended. Other ferries run from Lochaline (Morvern) to Fishnish and Kilchoan (Ardnamurchan) to Tobermory (no booking for either).